Home - Gro-Pro Horticulture Services, Inc.
Gro-Pro Horticulture Services, Inc., offers cutting-edge lawn, shrub, and tree care solutions to home and business owners throughout six North Texas counties. We are a locally owned and operated lawn care business centrally located in Denton County. 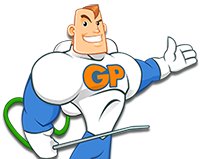 Here at Gro-Pro, we offer personalized programs and exceptional customer service that only a local business can provide. Our customers are our top priority and we are confident that when you become our customer, you will experience the Gro-Pro difference for yourself.